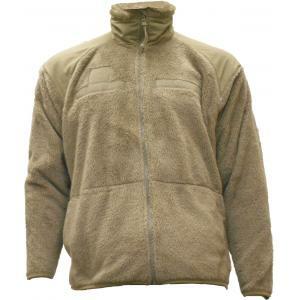 GEN III Fleece Jacket/Liner, Tan 499  - $73.32 : Advantage Supplies, Inc.
Made with Polyester warp knit fleece fabric to keep you warm. Loop fasteners on the chest to attach rank badges and name plates. Two internal chest pockets and two outer side hand pockets. Available in XS, Small, Medium, Large, XL, and 2XL.